I could live in chambrays if I really had to. They're just so comfortable, and I love that they can be dressed up or down. 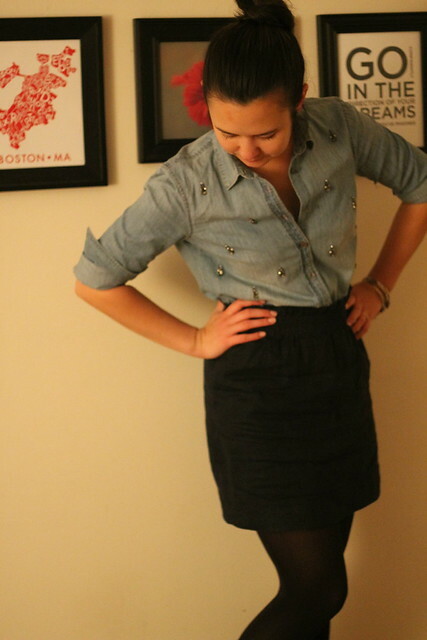 So when I spotted this adorable embellished chambray at J.Crew on sale, I knew it had to be mine. I mean really, how can you ever go wrong with adorable beading? What a cute outfit, Alex! I love it! stop. you are too cute. I adore the embellishment on this one–I've had my eye on it for a while. I wish I pulled the trigger! That is SO cute on you Alex! Love the embellishments! great top, and i LOVE your hair up like that! You are absolutely adorable girl! Loving your style, and those boots! CUTIE how have I never seen that one?? It's adorable!! And fabbbb booties. Those booties changed my lifeeeee! nice score! 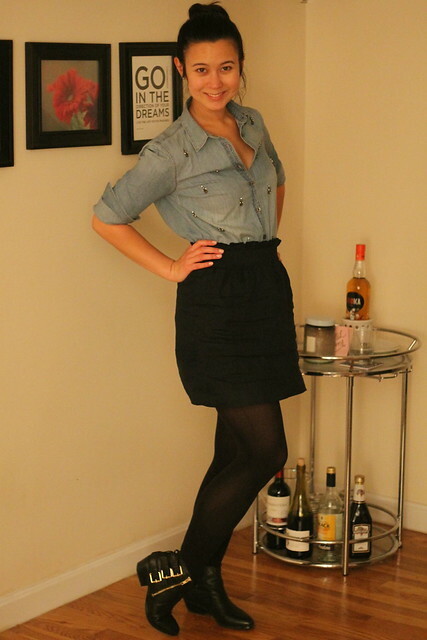 i also love chambray and definitely overuse it as well. great outfit. you look so cute! two thumbs up for snagging that on sale! thumbs up to this outfit.